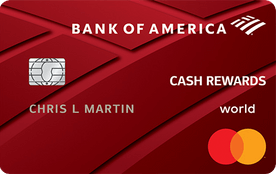 The regular APR on the First Citizens Rewards Visa card is reasonable, but cardholders seeking to finance a new purchase may be better of with a card that offers a 0-percent introductory APR on new purchases. Cardholders can save on both balance transfers and new purchases with the PNC Points Visa card, thanks to its relatively low APR and 12-month 0-percent introductory APR. Though the regular APR on the PNC Cash Rewards Visa is fairly low, cardholders seeking to save on interest are better off with a card that offers a 0 percent introductory period on new purchases as well as one that doesn’t incur a high penalty APR for missing a payment. The American Express Everyday Preferred card offers a reasonable interest rate and a 12-month introducty period on new purchases and balance transfers, but bargain-minded cardholders may be turned off by the card’s high annual fee. This offer is no longer available on our site. A good card for SunTrust accountholders with excellent credit, the SunTrust Cash Back credit card rewards the bank’s most loyal customers with tiered bonuses and a low minimum APR. Though the USAA Cashback Rewards Plus card offers a very reasonable APR, cardholders seeking to save on balance transfers and new purchases would be better served with a card that offers a 0-percent introductory APR. Though the regular APR on the PenFed Pathfinder card is low, the card lacks a 0-percent introductory period for new purchases. The PenFed Platinum Rewards Visa Signature card offers an exceptionally low APR for a card with such a generous rewards program; however, cardholders seeking to save money on interest may be better off with a card with a 0-percent introductory APR for new purchases. The USAA Rate Advantage Visa Platinum card offers a low APR that is hard to beat, but it lacks a zero percent introductory offer, and the card is not available to the general public.